Nestled along Netarts Bay,with natural, pristine beauty all around, Netarts Bay Garden RV Resort opened for business in 1969. 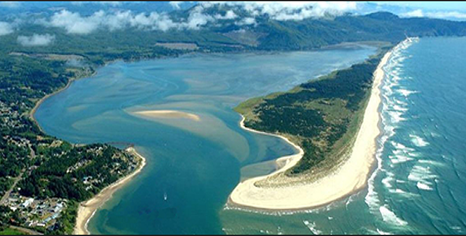 Away from the crowds and off the beaten path, Netarts Bay quietly presents a relaxing place to enjoy the Oregon Coast. Our Location and attentive staff have earned us a reputation of rare quality and value from RVer's around the world. If you are planning a visit to Central Oregon, be sure to visit our sister park Bend Sisters Garden RV Resort. In addition to the the activities noted in our outdoor recreation tab take a look at these Events & Activities. Contact us in Tillamook, Oregon, for the state’s most scenic RV park in the Northwest.